Kallie George is the author of the Magical Animal Adoption Agency series, as well as the first two books in the Heartwood Hotel series, A True Home and The Greatest Gift. She works as an author and speaker in Vancouver, Canada, and she holds a master's in children's literature from the University of British Columbia. In addition to writing books for young readers, she leads workshops for aspiring writers. 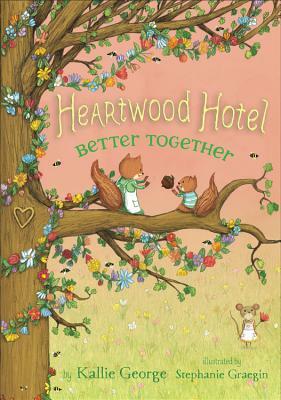 She happened across the Heartwood Hotel on a hike with her husband and wishes she was a mouse like Mona so she could stay there, too. Visit Kallie online at kalliegeorge.com.